October - Festive, Fun and the Fall: The days are getting shorter, the leaves are starting to fall with the temperature. Not to worry, you can still have a lot of fun in October and Peter Easton of VeloClassic Tours taps into the Oktoberfest Ride. On the professional cycling circuit, the Italian Fall Classic il Giro di Lombardia bookends the Monuments that officially begin with Italy’s Spring Classic, Milan San Remo. Lombardia is a far cry from its Spring counterpart, as the cool air in March turns to the damp air of October. The blue skies and high clouds draping the stage for the opening act turn to low clouds and the smell of dying foliage as the season draws to a close. The expectations of that spring day have long been forgotten. At Il Giro di Lombardia, the early morning darkness that hangs low in the sky never warms that chill of the early start, and the mood reflects the end of the season, only hours away. Cycling is defined across seasons and the various landscape it traverse, from budding trees and the cobbles of spring to hot summer days in the mountains. A cycling season that is introduced with such hope amid a crisp spring morning is reduced to a final day amidst the chill of October, the hopes on the shoulder of a new season replaced by the changing colors of fall, the brown landscape ready to burst into shades of green have transformed to the reds and oranges of fall, christening the final act. As the late summer makes way for the cool air of fall and the inevitable curtain on the season, there is a scramble to search for one beacon of motivation, one last effort to test the legs and mind, one last grasp at a glorious day on a bike that one can carry into the off season with them, a sense of completion to a journey that began amidst the optimism of spring, rallied through the long days of June, the heat of August and slowly begins to fade. In looking at the month of October, it’s easy to see two themes - Halloween and Oktoberfest. And while I enjoyed the former as a kid and have never been to the latter, it’s easy to grasp the theme of both - festive, fun and the Fall. Cycling in the fall is graced with the wonderful colors of nature that are in stark contrast to the shadows of winter and the abundance of green in the spring and summer. Montgomery County in eastern Pennsylvania is a bucolic area neighboring Bucks County and north of Philadelphia that weaves its way across the small towns settled by early German settlers. The history of the region remains intact, with well over 100 structures on the National Register of Historic Landmarks, including structures designed by Philadelphia architect Horace Trumbauer, who designed the Philadelphia Museum of Art among other grand structures in the robber baron fueled Gilded Age of the early 20th Century. In terms of cycling, German heritage, and Oktoberfest, it’s easy to pick an obvious theme that ties all of this together - beer. 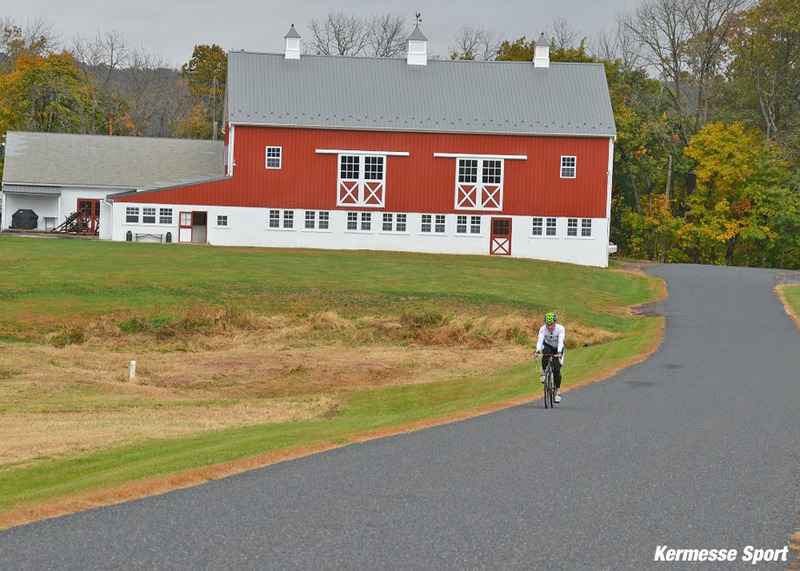 Brewed in Montgomery county long before prohibition arrived, and pairing perfectly with the exertion and satisfaction that comes with cycling, a fall day on the bike in the countryside hosted by a brewery is a day that sounds too good to be true. 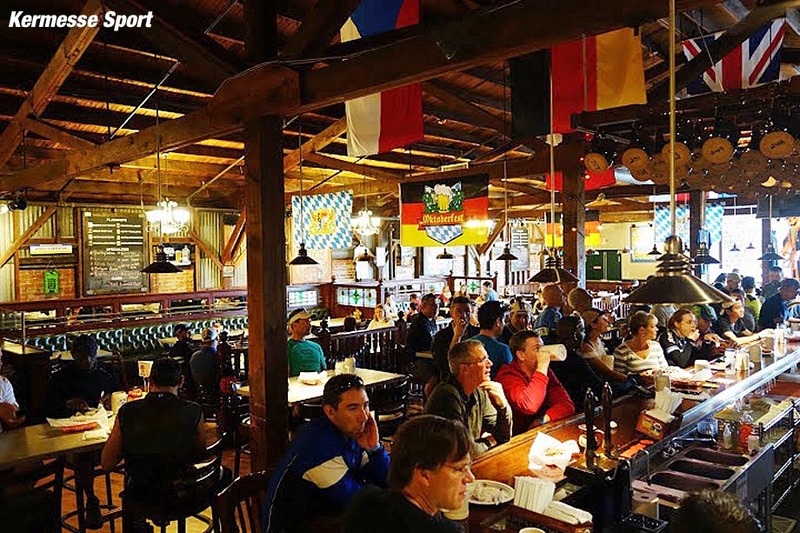 But it exists, and true to the ethos of Brian Ignatin and Kermesse Sport, the hosts and organizers of Oktoberfest at the Appalachian Brewing company in Collegeville, PA. Somewhat contradictory to its name, Oktoberfest is the world’s largest fair, held annually in Munich, Germany starts in mid-September and ends on the first Sunday in October. More than 6 million people from around the world visit the festival, which lasts longer than two weeks. Also contrary to popular belief, Oktoberfest is not an ancient celebration. It all began on October 12, 1810 when Crown Prince Ludwig, (who ascended the throne to become King Ludwig I) married Princess Therese. The citizens of Munich were invited to attend the festivities held on the fields in front of the city gates to celebrate the wedding. The festivities ended with horse races, which were so enjoyed, that the event was renewed the following year as a festival for all of Bavaria. 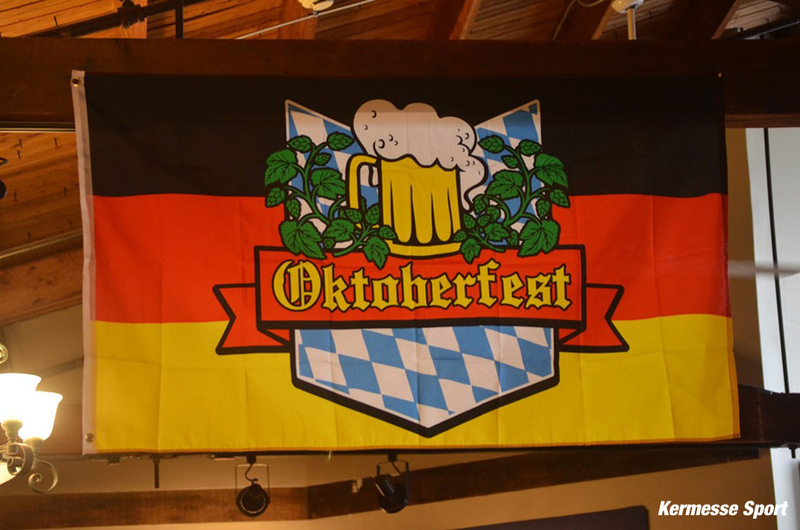 The festivities immediately became an annual tradition, were extended, and the dates moved forward to take advantage of better weather, and have evolved into the Oktoberfest that we still celebrate today. 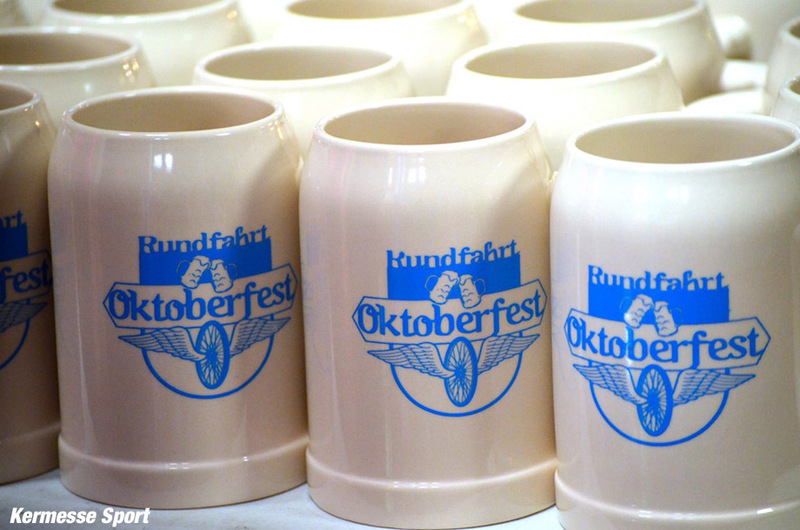 Many other cities and towns through the world now hold their own Oktoberfest celebrations. Cycling in the Montgomery/Bucks County region of Pennsylvania has a storied history, thanks to the Univest Grand Prix and now the Bucks County Classic, a professional bike race which ran in the area from 1998-2011. The race, long considered one of the most demanding on the calendar, took riders from around the world to test U.S. riders and raise the level of competition, both locally and nationally. Racers competed over a 60-mile road course that included communities in both Montgomery and Bucks counties before finishing on a 40-mile circuit. Along with the Grand Prix, racing in the area continues in Doylestown and Reading, along with track cycling in Trexlertown at its famed velodrome. 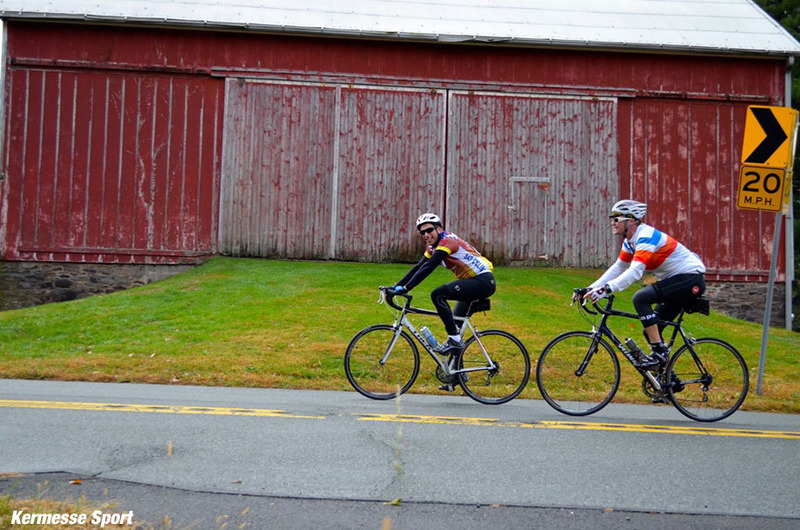 In short, the area is rich in cycling history and offers prime terrain and scenery for a perfect October ride. 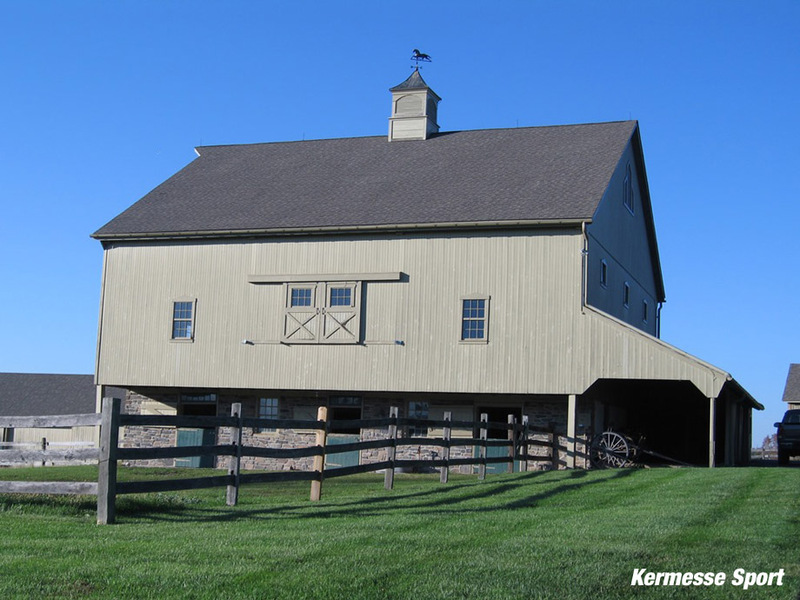 The routes - 100 kilometers and 4,000+ feet for the long route and 47 miles and just under 3,000 feet for the shorter loop - take in some of the most scenic and historic spots in the area tucked in to the west of route 476 and north of King of Prussia and the Philly suburbs as it straddles the scenic Perkiomen Creek valley. The route itself mimics some of the original Univest Grand Prix course, described as a course “that climbs and plummets through tight technical corners and hair pins and jack hammers through the farmland.” As with any great ride, there are hills to conquer. And this route offers up three that define the ride as much as describe the region, all which comprised the heart of the King of the Mountain Competition in the Univest Grand Prix. Old Church/Church Road in Upper Salford is just about a one mile climb with pitches reaching 13% in the middle; Eichele Road outside of Green Lane Park (Long Course Only) is just under a mile and has some of the steepest grades in the area capping at 25%; and Knockel Road in Marlborough Township (both courses) is the final test as the course winds its way back to Collegeville. Beer, in all its colors, tastes and formats, is about all most level headed cyclists (amateur anyway) need as a motive to finish a bike ride. 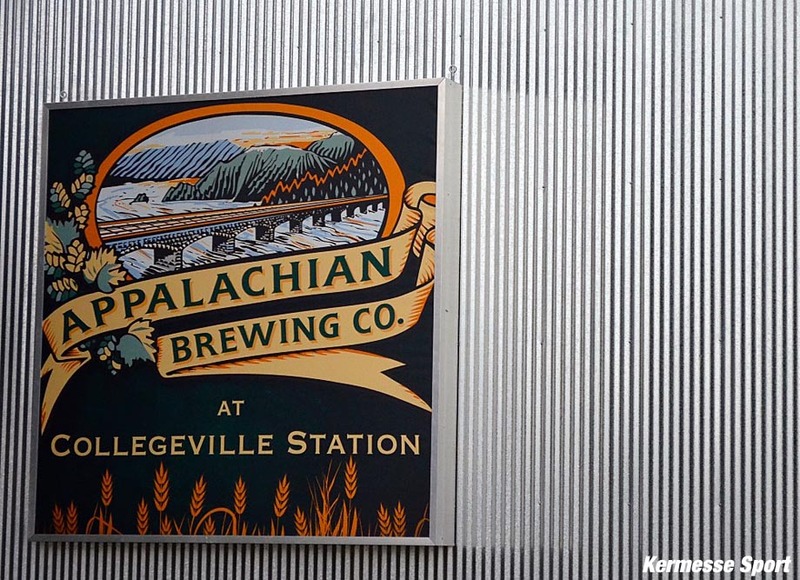 Appalachian Brewing Company began in 1997 in Harrisburg, and produces a range of finely crafted beers and seasonal ales that seem to fit all tastes and sizes. 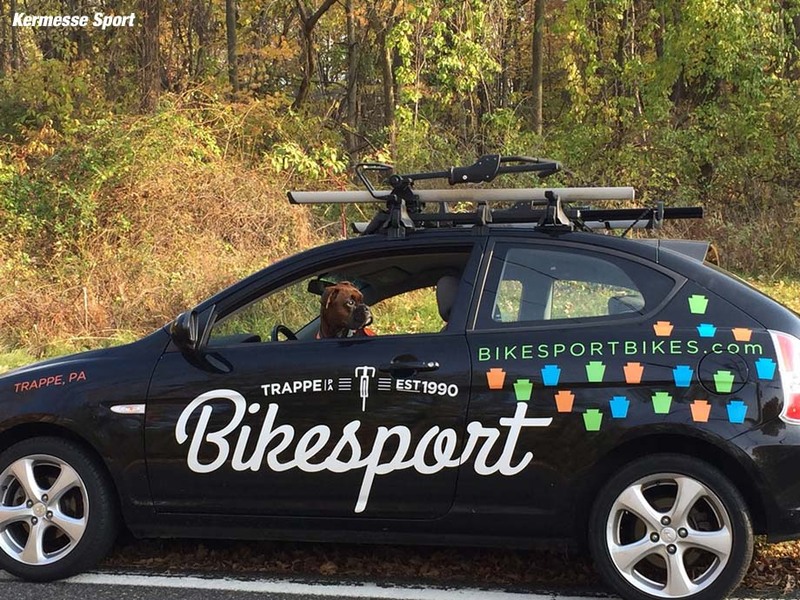 But the great equalizer in all of this is the socialization, a reason to celebrate the end of a season as much as embrace the beginning of a new one with like-minded cyclists who share a passion for all that we invest in the sport of cycling. As the ride began last year, I found myself in the front with a group of 20 or so riders. The pace was steady, until a few riders felt the need to stretch their legs, dragging more with them as the road pitched up after a few miles. As the group splintered, eight of us kept the same pace. I found myself riding the majority of the day with a few riders from Connecticut. It was clear early on we were of compatible fitness and in the unwritten ethos of cyclists it was clear we would ride together, share the pace making and look after each other - all without saying much at all to one another. Much like communicating over dinner with others who don’t speak your language, sometimes words aren’t necessary if the generosity of one’s actions is displayed. As the ride winds north, it’s easy to lose one’s self in the scenery, consume the history and appreciate the organization, route and camaraderie that is at the heart of the ride. 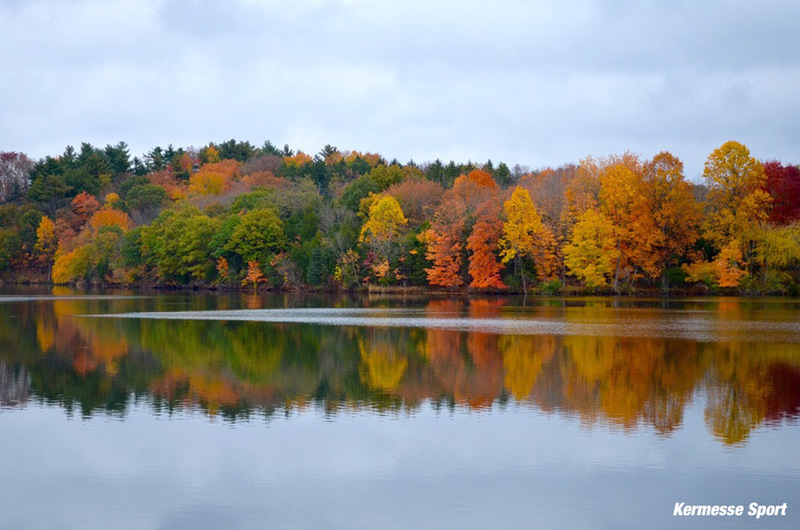 Amidst the canopies of trees and the deeply rich fall colors, the ride is highlighted by its open vistas and subtle landscape, a blend of deeply wooded roads along Perkiomen Creek, brightly a kaleidoscope of trees and the mirrored views across Green Lane Reservoir. 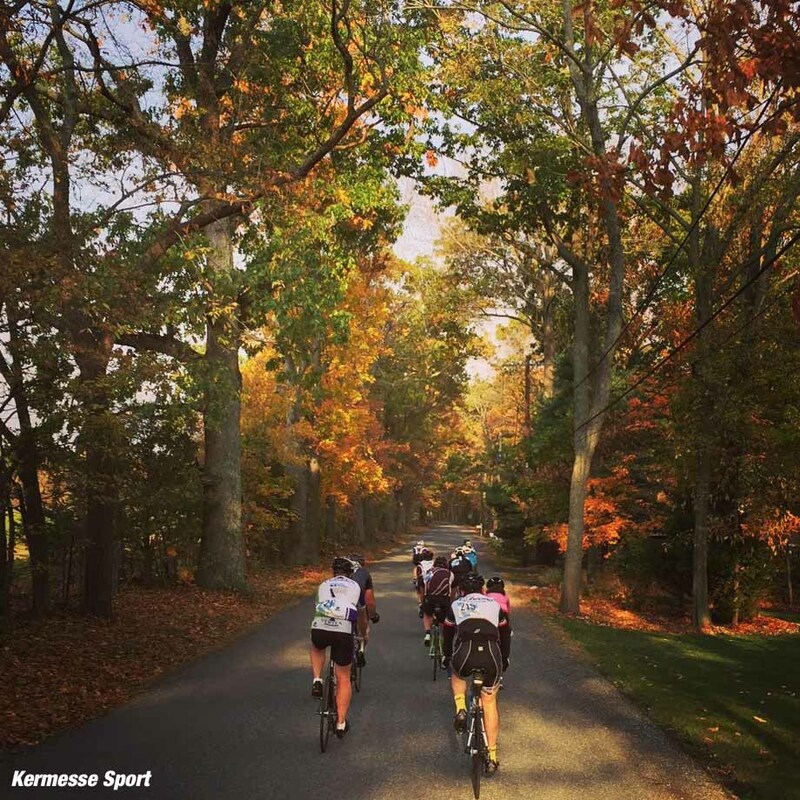 And while the ride is just challenging enough, the day is tempered from the blistering pace of Kermesse Sport spring classic ride the Hell of Hunterdon or the relentless pitches of the Fools Classic to provide a beautifully paced, easily digestible ride that smells of fall. 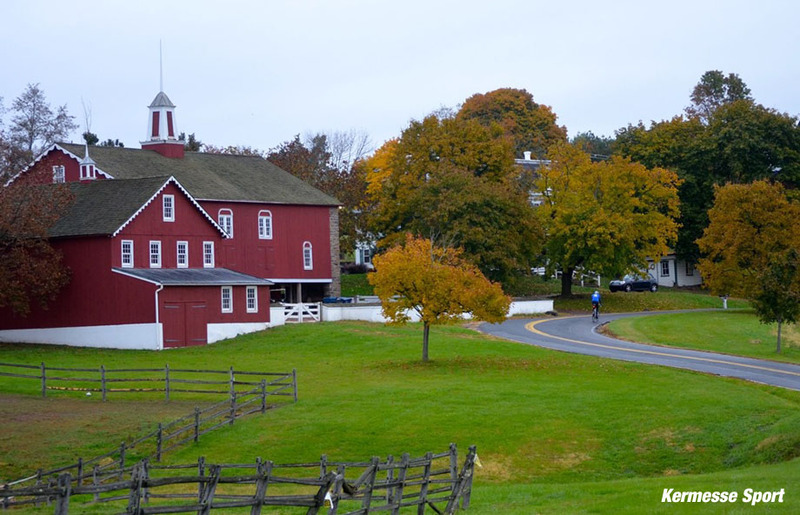 Ignoring the surroundings would mean missing out on early American history- revolutionary war cemeteries dot the landscape in between historic homes and sprawling farms, a testament to the rich agriculture that fuels the economy here. 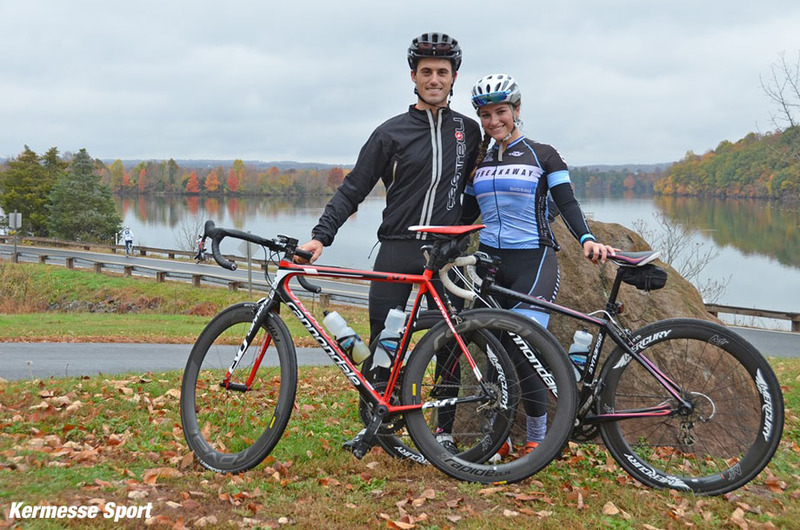 A Gran Fondo or cyclosportif is only as good as the people around you - both on and off the bike. The atmosphere surrounding the start reflects the anticipation of a challenge we all welcome on the bike, and sets the table for the celebratory atmosphere that awaits at the finish. Along the way, the ride has on the road neutral support and a well-stocked, well timed, enthusiastic rest stop that riders seem to linger at. Ready to roll after a rest, I connect with the small group I arrived with; we roll out together, resume our positions on the road and ride on. There’s no language barrier, but simultaneously there’s no need for idle chatter. Our lifestyle as cyclists speaks for itself; the glance back, the shoulder shrug to pull through; the shifting of gears; the pointing to debris in the road. It’s an impromptu group ride to some extent, and I sense this develops from the front to the back of the ride. And this is at the heart of all the events with Kermesse Sport, and especially Oktoberfest - a day to reconnect with riders you haven’t seen since the spring, or to enjoy one last outing together before bidding adieu to the season. And while beer is the centerpiece, Oktoberfest wouldn’t live up to its name without the requisite German influenced food for post ride refueling. If a professionally marked and supported ride is what cyclists look for on the road, its good food and beer at the end that is just as important - again, it is about defining the entire day. And this is clearly shown back at the brewery, where many riders linger, embracing the atmosphere, hanging on to the season and finally engaging in idle chatter and the celebration of a season long after they’ve drank their two beers worth. 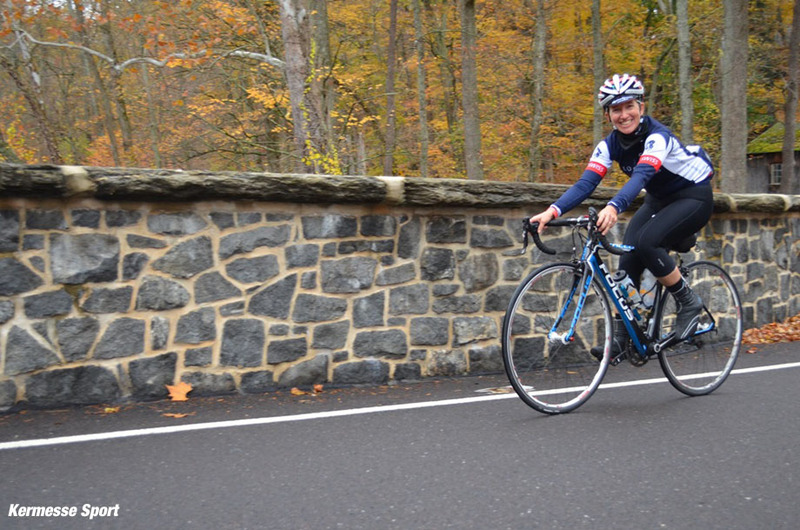 The ride is on October the 22nd from the Appalachian Brewing Co. in Collegeville, PA. 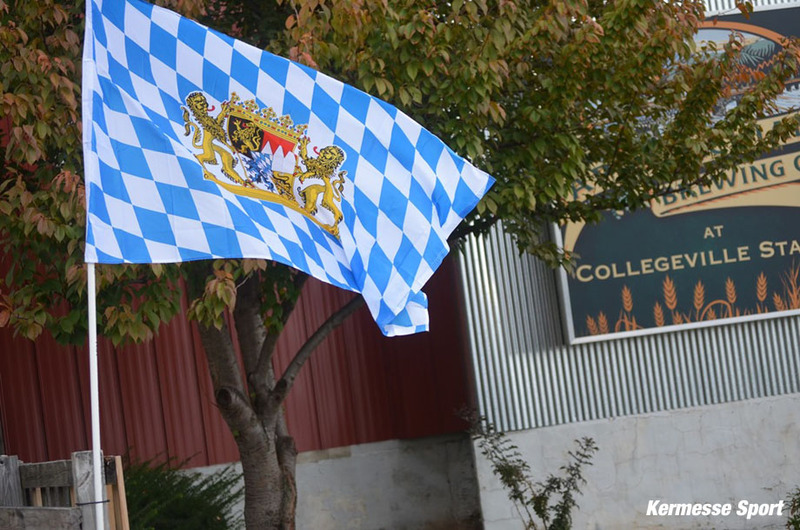 Check out the www.oktoberfestride.com website HERE. Peter Easton is the owner of VeloClassic Tours, a company who specializes in highly personalized luxury cycling travel experiences for serious cyclists through enlightened hospitality. For over a decade, Peter has shown guests the best riding, dining and hotels for cyclists across Europe, and is an expert in the rides, roads and races that make up the Spring Classics.